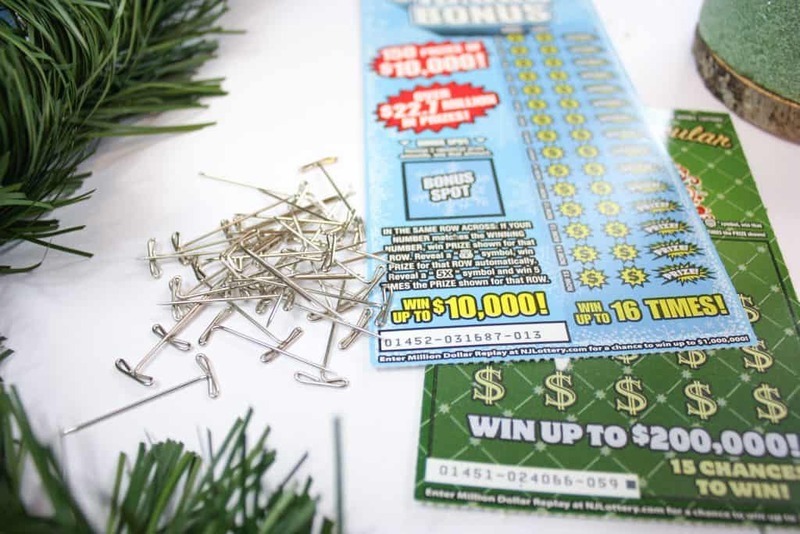 NJ Lottery Holiday scratch offs make such a fun gift! 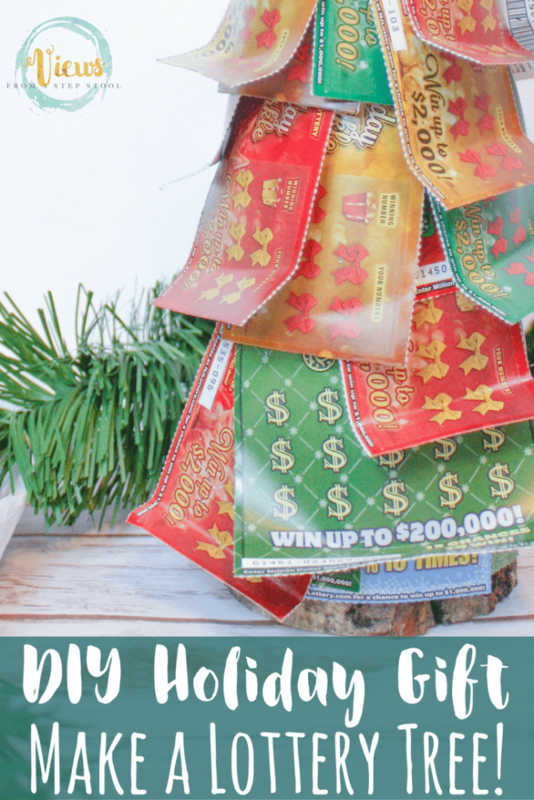 I love to rely on lottery tickets when giving gifts to someone I don’t know all that well, in lieu of cash, or for a White Elephant gift exchange game! 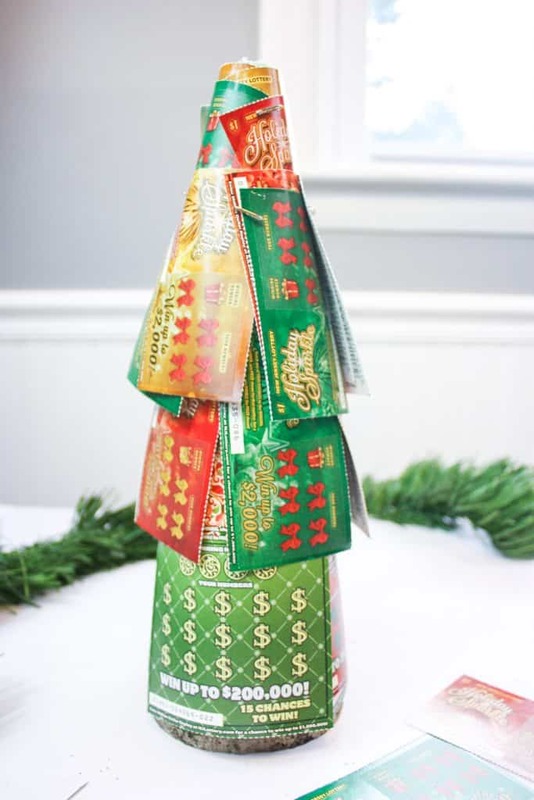 This lottery ticket tree is easy to make, looks quite festive and doesn’t even need to be wrapped. 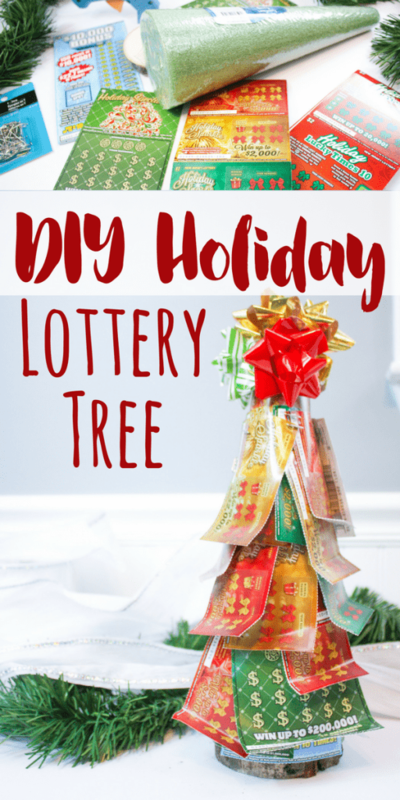 This lottery tree is so easy to make, check out how below! 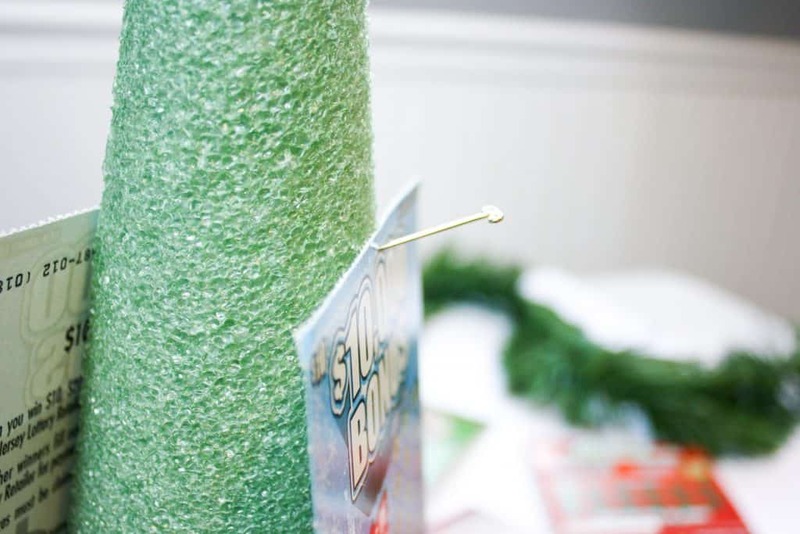 Make your tree by hot gluing the styrofoam cone onto the wood slice, this creates a trunk base. 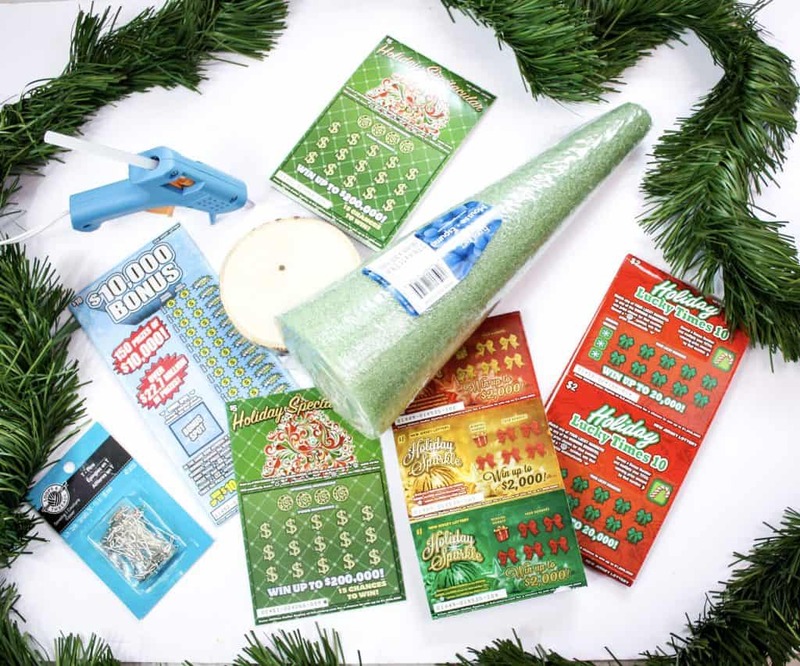 Get a variety of NJ lottery tickets at a local retailer such as Wawa, 7-11 or in a mall, and sort by size. Starting with the biggest ones first (or more expensive, as they will become hidden making it even more fun when uncovered) and secure them to the cone with T-pins. 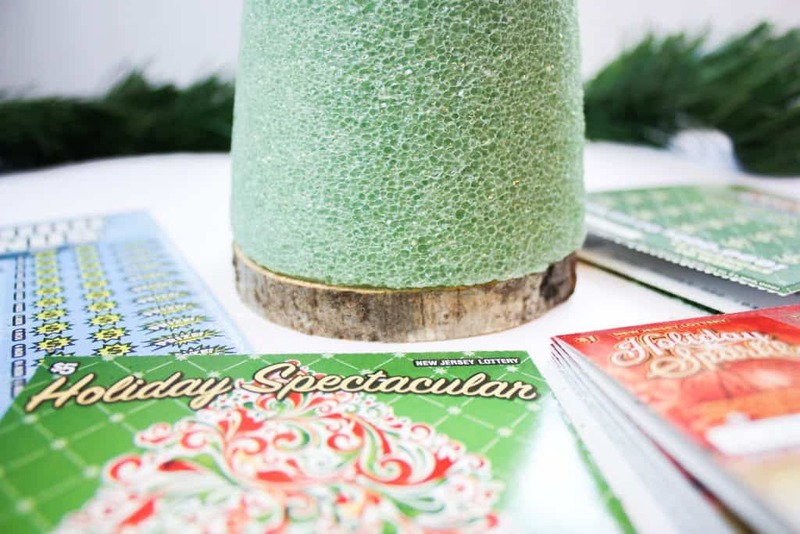 Continue layering the tickets until the entire cone is wrapped in tickets. 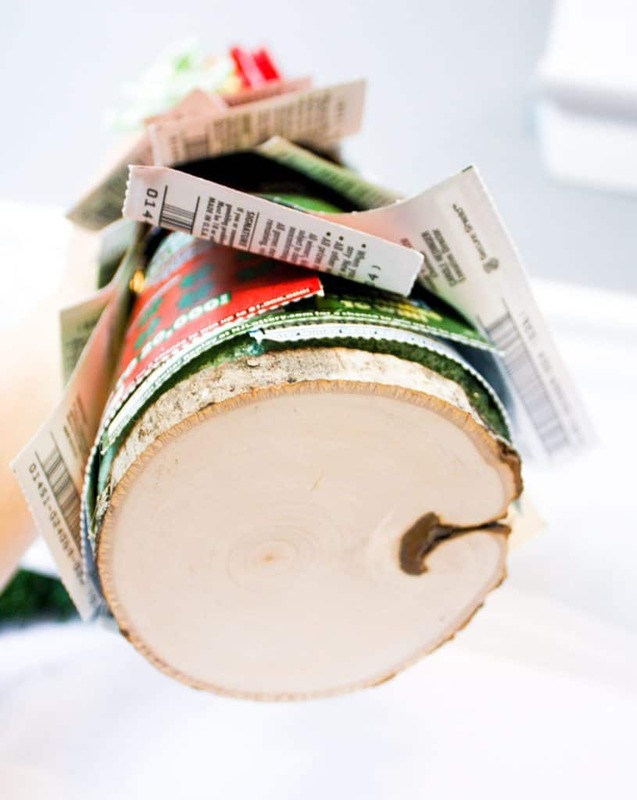 Once covered, turn the smaller tickets sideways and secure them to the cone from the bottom up. 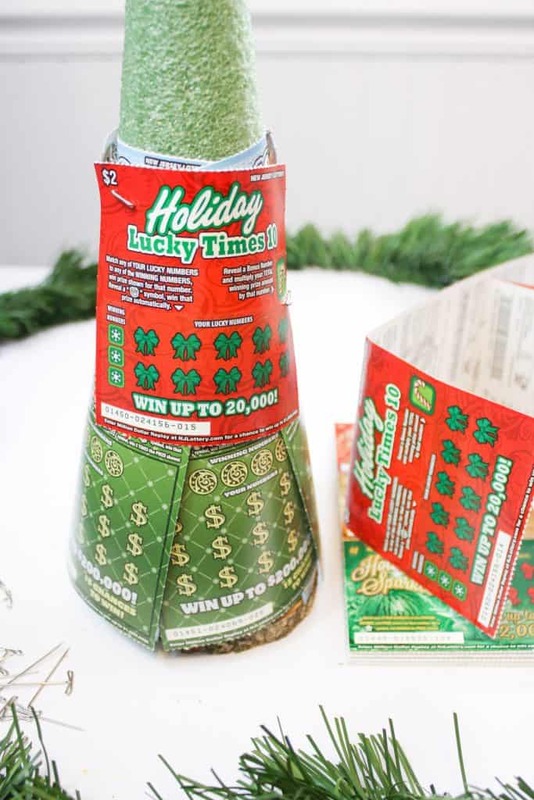 Slightly bend the bottoms of the lottery tickets outward to create some dimension to the tree, resembling branches. 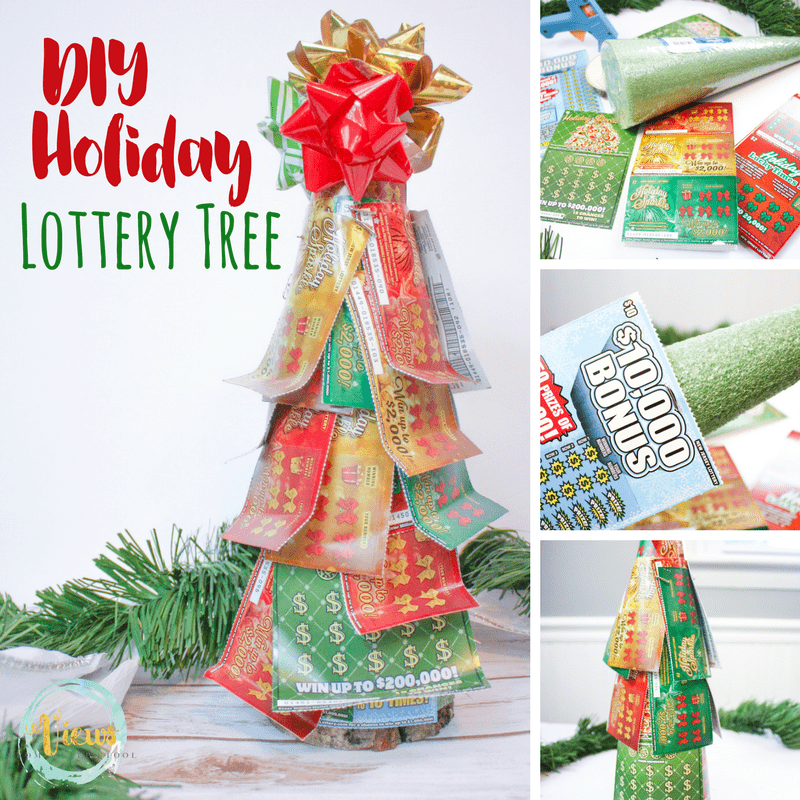 Add a decorative top such as a star or a bow, and the lottery ticket tree is complete! 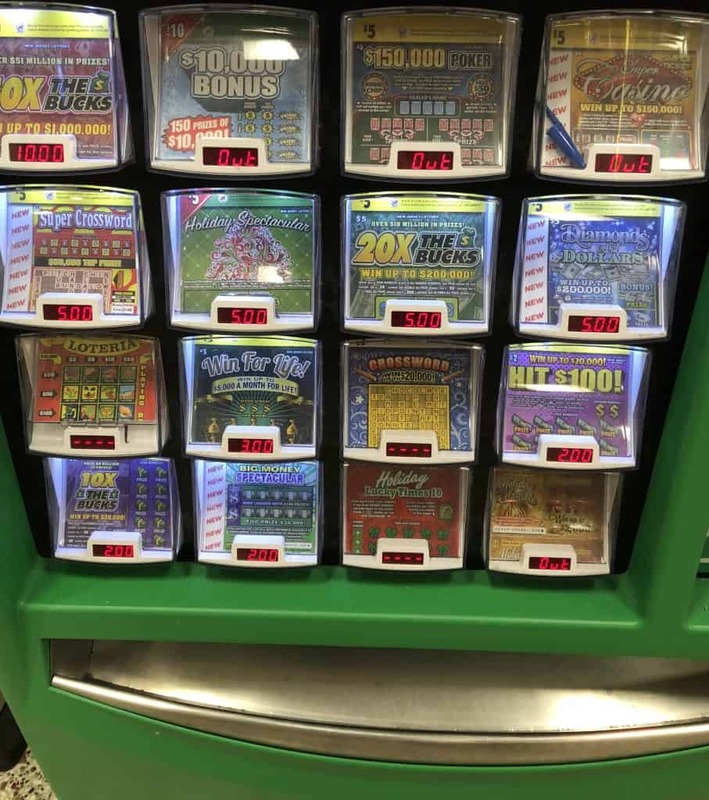 Disclaimer: You must be 18 or older to buy a lottery ticket. 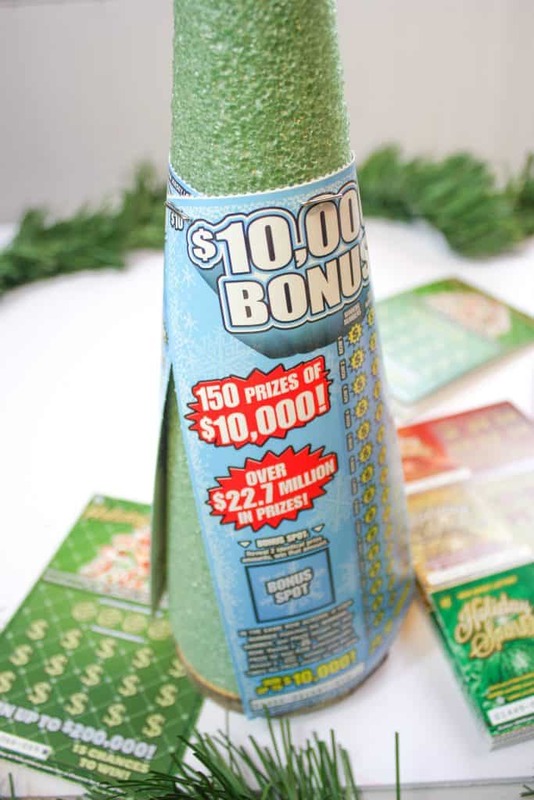 The New Jersey Lottery reminds players, it’s only a game…remember to play responsibly. If you or someone you know has a gambling problem, call 1800-GAMBLER®. 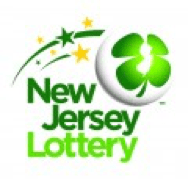 This is a sponsored post, I will receive compensation for including the NJ Lottery in this post. All opinions are my own.